The National Center for Missing & Exploited Children® is a nonprofit corporation whose mission is to help find missing children, reduce child sexual exploitation, and prevent child victimization. Since 1984, NCMEC has served as the national clearinghouse and resource center for families, victims, private organizations, law enforcement, and the public on issues relating to missing and sexually exploited children. 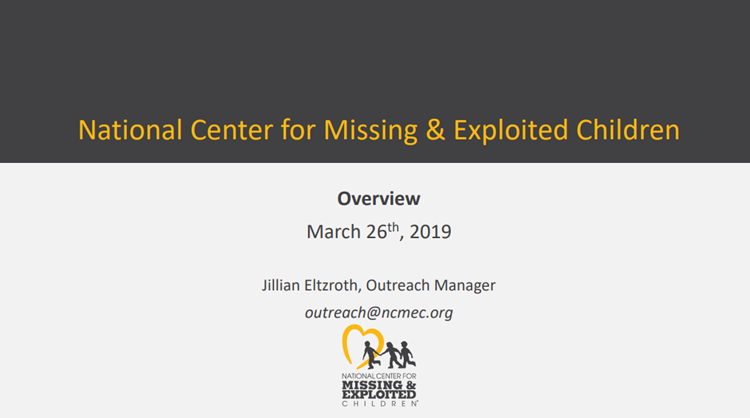 This presentation will provide participants an overview of the services and resources available at the National Center for Missing and Exploited Children, as well as highlight key prevention programs and school friendly resources to help keep children safe. “School is a building with four walls – with tomorrow inside.” This session will guide you in the multi-year process of planning and constructing your dream school building that will empower you to best teach the leaders of tomorrow. We will discuss creating a realistic timeline and plan of attack for constructing and financing your facility. You will hear from an expert practitioner from a national CMO with schools in 4 states, a national charter school back office provider, and the largest nonprofit lender to charter schools. The purpose of this course is to provide the tools and confidence to become more effective in planning and meeting the unique needs that arise among children as a result of a disaster or emergency. 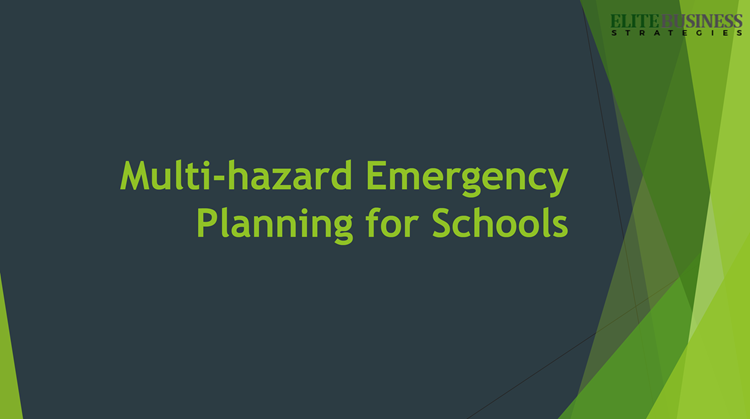 At the conclusion of this course, you will be able to revise an emergency operations plan for your community or organization to effectively address the unique needs of children in disasters.